It can be scary to start a new job. Starting a new job where everyone is going to be issued a firearm, go through intense physical training, and then be assigned to deal with various foreign threats where death is very much a possibility … Let’s just say that a little trepidation is warranted in that situation. 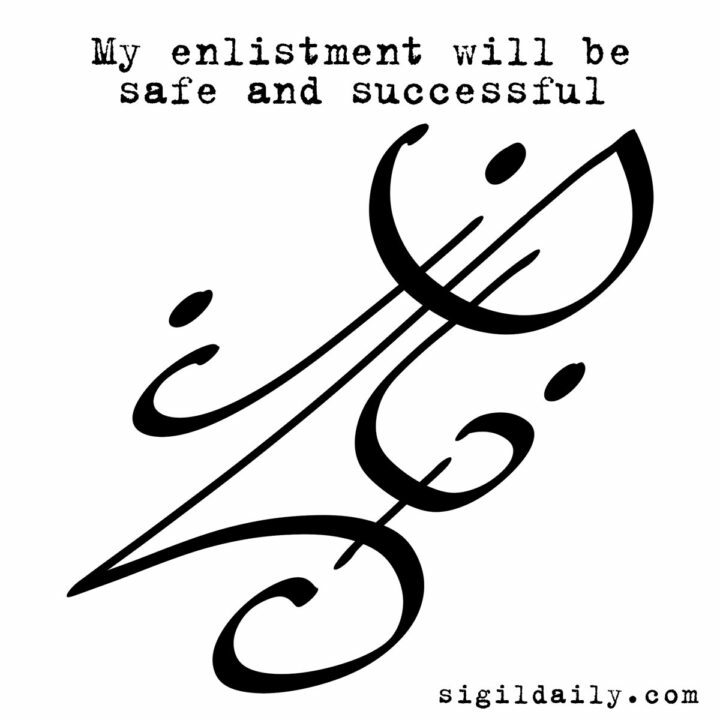 This sigil doesn’t seek to diminish the very real dangers of military service. It simply states the desire to come through that experience as safely as possible, and with the best possible results.